Redaction is one of the most complicated eDiscovery tasks to complete. In addition to the task not lending itself to verification by technology (though this is changing), the work often requires a significant amount of attention to an exceedingly tedious task. The goal of a redaction project, though, is absolute consistency. Each person applying redactions should be redacting in the exact same way, creating a final product that gives the reader confidence that the redacted content was appropriately withheld. There are many opportunities for error – missed sections, repetitive content in successive version of a thread, row or columnar data that requires carefully counting or identifying target areas across multiple pages and even simple disagreements among a group over the extent of the information to be redacted. Those issues can usually be resolved through proper quality control and communication. The most bothersome redaction issue, though, can be nearly impossible to fix once it spreads through the population: the failure to draw straight lines. 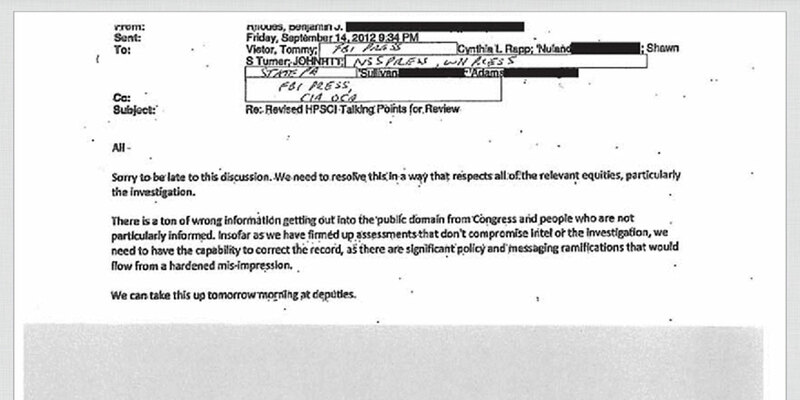 Nothing makes a redacted document more questionable than poorly drawn or inconsistent redactions. Gone is the redaction tape of yesterday (or worse, the Sharpie and photocopy method much loved by some, and demonstrated in the Benghazi e-mail above). With today’s computer-based tools, most redaction is done on a TIFF or native version of the document. Native redactions usually clearly and accurately obliterate the document’s content, removing this worry. 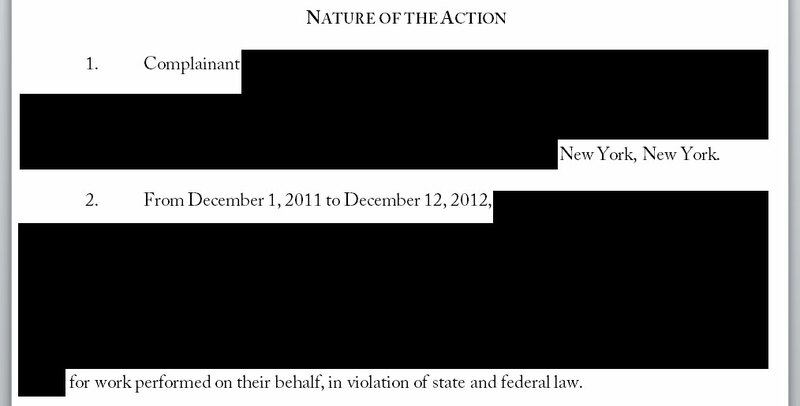 TIFF redactions, however, open up the opportunity for drawing boxes of variable size. All too often, attorneys will focus only on the instant redaction without considering the document as a whole. This result often leaves paragraphs redacted line-by-line with separate, inconsistently-sized boxes for each one. Instead of aligning on the margins, where possible, the redaction will stop at the end of the last character on the line, leaving a ragged appearance. With bold black boxes, differences in vertical height of each line are also apparent, leaving ugly and unnecessary gaps. When one considers the page as a whole, however, it’s easy to create large blocks of redaction with uniform edges. This clean, consistent look is not only professional but it eliminates opportunities to speculate about the hidden content based on size and length. The large blocks are easier and faster to draw, reducing time spent performing redactions. Not every edge will match up, and as seen in my example, some of the boxes required several overlapping redaction boxes to accomplish, but the effect is far more pleasing and the uniform sizing gives a uniform look to the entire population, regardless the size of the redaction team. Similarly, redactions in Excel or other spreadsheet-based data can look its best when one uses the sheet’s gridlines as natural boundaries for drawing redactions. Instead of leaving half-redacted cells at the beginning or end of a redacted range, obliterate the entire row or column. The boxes will naturally fit within the cells. Even in spreadsheets, redacting groups of redactible content in a single box can save precious time. I’ll never forget receiving an incoming production of spreadsheets containing thousands of rows. Each had been redacted one line at a time, only to leave a row or two on every third or fourth page visible as relevant to our matter. Opposing counsel had requested numerous delays to prepare these documents, but it was clear much of the time they spent performing the redactions had been wasted. Instead of just drawing one big box to redact the entirety of certain pages, they placed numerous line-by-line redactions and left gaps in cells with no content. The effort was unnecessary, produced an error-riddled result and likely cost the client an exorbitant amount of money. In cases like that, where numerous redactions are needed on large documents, the cost of a native redaction tool would likely pay for itself quickly. It’s important to suggest the use of the best technology for the need. But sometimes, it’s still going to be necessary to draw boxes on a TIFF. As long as that’s still needed, make certain to draw the boxes straight. Benghazi Email courtesy of the US Government, via the Washington Post.